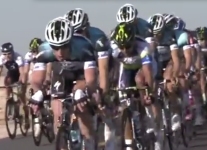 February 9 the 2014 Tour of Qatar kicks off, a road race in 6 (flat) stages tailor made for sprinters. The most recent editions were won by Tom Boonen and Mark Cavendish. Cyclingstage.com presents the riders in the 2014 edition.